My name is Keith Worthington, and I am a highly skilled and experienced Field Producer and Camera Operator with a diverse media background. Over the past several years, I have worked on production projects for Bravo, Oxygen, Esquire Network, FYI, WEtv, truTV, HBO, CW Network, NBC, CBS, TBS, TLC, Inspire Network, History, Lifetime, CMT, Animal Planet, BET, MTV, HGTV, Microsoft, ABC, DIY, and the G4 Network. I have also worked on corporate video production projects for a few large Atlanta-based companies, including Bain & Co., Atlantic Trust, Coca-Cola and Chick-fil-a. My experience runs the gamut – everything from a "one man band" to managing an entire production crew. I welcome the opportunity to speak with you in further detail about my skill set and level of experience and about possible production opportunities. Feel free to contact me directly at removed or by email at removed . Camera Operator; Produced by Entertainment One. “The Family Chantel” (TLC); Atlanta, GA Director of Photography; (B Team), Produced by Sharp Entertainment. “Mamma June: From Not To Hot 3” (WeTV); Atlanta, GA Camera Operator; (Day Player), Produced by Think Factory Media. “Star Crossed 2” (The CW); Atlanta, GA Camera Operator; (Day Player), Produced by Kinetic Content. “Landmark Jeep/Dodge” (Commercial); Atlanta, GA Director of Photography; Produced by Gold Crews. “Ready To Love” (OWN); Atlanta, GA Camera Operator; Produced by Lighthearted Entertainment. “Southern Spitfire Pilot” (HGTV); Atlanta, GA Director of Photography; Produced by Cineflix. “Buying It Blind” (Bravo); Atlanta, GA Camera Operator, Produced by Kinetic Content. “Big & Rich 2 Pilot” (USA); Atlanta, GA Director of Photography; (Day Player), Produced by Unrealistic IDEAS. “Paradise In Peril” (Documentary); Caribbean/Virgin Islands Camera Operator; Produced by Caribbean Lifestyle Productions. “Flipping Virgins 3” (HGTV); Atlanta, GA Director of Photography; (3 Episodes), Produced by Cineflix. “Flipping Virgins 3” (HGTV); Atlanta, GA Camera Operator; Produced by Cineflix. 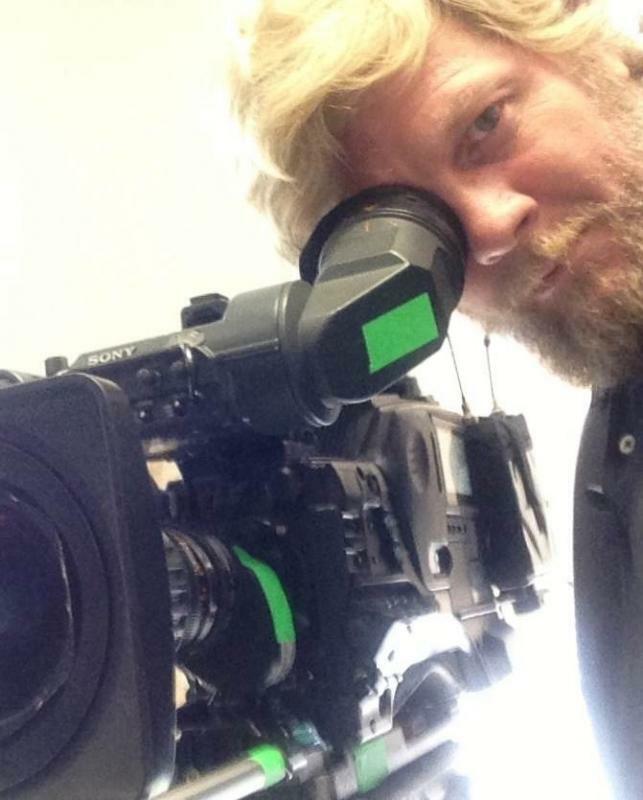 “Steve” (FOX); Atlanta, GA Camera Operator; (Day Player), Produced by IMG. “NFL Footballl Fanatic” (USA); Atlanta, GA Camera Operator; (One Episode), Produced by Wilshire Studios. “Americus The Beautiful” (HGTV); Americus, GA Camera Operator; Produced by Essential Quail Television. “Caribbean’s Next Top Model” (CBS); Montego Bay, Jamaica, Co-Executive Producer; Produced by CaribNTM. “Caribbean’s Next Top Model” (CBS); Montego Bay, Jamaica, Camera Operator; Produced by CaribNTM. “Property Brothers, Buying and Selling” (HGTV); Nashville, TN Camera Operator; Produced by Cineflix Inc.
“Raq Rants TMZ” (YouTube); Atlanta, GA Director of Photography; (Day Player), Produced by Gold Crews. Camera Operator; Produced by Susie Films. Camera Operator; Produced by Black Telly Inc.
“Instant Christmas Carols” (TBS); Atlanta, GA Director of Photography; Produced by Critical Content. “Guardian Centers Commercial” (History Channel); Atlanta, GA Camera Operator; Produced by Bullet Point Films. Director of Photography; Produced by Wade Works Productions. “Real House Wives of Atlanta 9” (Bravo); Atlanta, GA Camera Operator; (Day Player), Produced by True Entertainment. “Bombardier Recreational Products” (Commercial); Atlanta, GA Director of Photography; Produced by WebsEdge UK. “Married At First Sight: Second Chances” (FYI); Atlanta, GA Camera Operator: Produced by Kinetic Content. “Little Couple 2.0” (TLC); Charolette, NC Camera Operator; (Day Player), Produced by Wilma TV. “Tiny & Shekinah” (WB); Atlanta, GA Camera Operator; (Sizzle), Produced by Telepictures. “Flipping Virgins” (HGTV); Atlanta, GA DP/Camera Operator; (Day Player), Produced by Cineflix Inc.
“Steve Harvey Show” (NBC); Atlanta, GA Camera Operator; (Day Player), Produced by Deep Dish Productions. “Savannah” (Bravo); Atlanta, GA Camera Operator; (Sizzle), Produced by Haymaker Productions. “Ari Effect” (Weather Channel); Atlanta, GA Camera Operator; (Sizzle), Produced by Lucky 8. “Wolf Of Atlanta” (Sizzle); Atlanta, GA Camera Operator; Produced by conveyor media. “Treehouse Masters” (Animal Planet); Atlanta, GA Camera Operator; (Day Player), Produced by Wilma. “The Next 15” (TV One); Atlanta, GA Camera Operator; (Day Player), Produced by Eclipse. “Fit2Fat2Fit” (A&E); Atlanta, GA DP/Camera Operator; (Day Player), Produced by Zipline Entertainment. “BBQ Blitz” (Food Network); Montgomery, AL Camera Operator; (Day Player), Produced by Follow Productions. “Tiny House Mansions” (FYI); Atlanta, GA Camera Operator; Produced by Leftfield Pictures. “Selling It In The ATL” (We); Atlanta, GA Camera Operator; (Day Player), Produced by World of Wonder. “MOMs” (TLC); Atlanta, GA Camera Operator; Produced by Bray Entertainment. “Married at First Sight 3” (A&E); Atlanta, GA Camera Operator; (Day Player), Produced by Kinetic Content. “Buck U” (HBO); Atlanta, GA DP/Camera Operator; (Day Player) Documentary, Produced by World of Wonder. “Deal Estate” (HGTV); Atlanta, GA Camera Operator; (Pilot), Produced by Johlt Productions. “Assistants of Atlanta” (Oxygen); Atlanta, GA Camera Operator; (Day Player), Produced by Evolution Film & Tape. “Super Great Rooms” (DIY); Atlanta, GA Camera Operator; Produced by Magnetic Productions. Camera Operator; (Day Player), Produced by Magical Elves. Camera Operator; Produced by TRAILBLAZER STUDIOS. “Fake Off 2” (truTV); Atlanta, GA Camera Operator; Produced by Ivy Productions. “The Agent” (Esquire Network); Atlanta, GA Camera Operator; (Day Player), Produced by Herzog & Company. “MILKBONE” (Commercial); Atlanta, GA Camera Operator; Produced by Umlaut Films. “Hip Hop Moms & Kids” (MTV); Atlanta, GA Camera Operator; Produced by Wilshire Studios. “Tiny House Nation” (FYI); Chattanooga, TN Camera Operator; (Day player), Produced by Loud TV. “Tiny House Hunting” (FYI); Nashville, TN Camera Operator; (Day player), Produced by Loud TV. “My Strange Addiction” (TLC); Knoxville, TN Camera Operator; (1 Episode), Produced by Violet Media Productions. “My City’s Just Not That In To Me” (FYI); Atlanta, GA Camera Operator; (2 Episodes), Produced by Violet Media Productions. “Leave It To Geege” (USA); Atlanta, GA Camera Operator; (Pilot), Produced by World Of Wonder. “Buckhead Beef Co.” (Corporate); Atlanta, GA DP/Camera Operator; Produced by Tomorrow Pictures. “Atlanta Eats” (Peachtree TV); Atlanta, GA Camera Operator; Produced by Tomorrow Pictures. “Leave It To Terrio” (CMT); Atlanta, GA Camera Operator; (Pilot), Produced by TERRIO PRODUCTIONS. “Hollywood Hillbillies” (REELZ); Atlanta, GA DP/Camera Operator; (Promo “Hillbillies Movie Night”), Produced by REELZ Channel. “Hollywood Hillbillies” (REELZ); Atlanta, GA DP/Camera Operator; (One Hour Special), Produced by Asylum Entertainment. “Married to Medicine 2” (Bravo); Atlanta, GA Camera Operator; (Day Player), Produced by Little Pond TV. “Women We Love” (Esquire Network); Atlanta, GA Camera Operator; (1 Episode), Produced by Wilshire Studios. “Live In Vern’s House” (HGTV); Atlanta, GA Camera Operator; (One Hour Special), Produced by Go Go Lucky. “Room Refresh” (HGTV); Atlanta, GA Camera Operator; (Web Series), Produced by Flynnside Out. “Ballard Designs” (Commercial); Atlanta, GA Camera Operator; (series for website), Produced by North Ave Creative. “T-Pain Pilot” (VH1); Atlanta, GA Camera Operator; (Pilot), Produced by Never Nominated Productions. “Hogs & Heels” (TLC); Atlanta, GA Camera Operator; (Pilot), Produced by Giant Pirates. “Bossip” (Oxygen); Atlanta, GA Camera Operator; (Pilot), Produced by Man House Productions. “Last Call Food Brawl” (Destination America); Atlanta, GA Camera Operator; (Two Episodes), Produced by Three Janes. “Kim of Queens” (Lifetime); Atlanta, GA Camera Operator; (Pilot), Produced by Long Pond Media. “Bait Car” (truTV); Atlanta, GA Field Producer/Camera Operator; Produced by BCA PRODUCTIONS, INC.
“World’s Strictest Parents” (CMT); Atlanta, GA DV Camera Operator; Produced by SHED MEDIA. “ReModeled” (CW Network); Atlanta, GA Camera Operator; (Pilot) Produced by FLY ON THE WALL ENTERTAINMENT. “Made” (MTV Networks); Atlanta, GA Field Producer/Camera Operator; Produced by New Remote Productions. “My Big Amazing Renovation” (HGTV); Atlanta, GA DV Camera Operator; Produced by HIGH NOON ENTERTAINMENT. “Whale Wars” (Animal Planet); Antarctica Field Producer/Camera Operator; Produced by RIVR Media. “Needled.com” (RIVR Media Interactive); Knoxville, TN Producer/Camera Operator; Produced by RMI. “Game On” (G4 Network); Los Angeles, CA Production Manager/Camera Operator; Produced by G4.